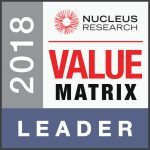 Laserfiche—an innovative provider of enterprise content management solutions—has been named a leader in the Nucleus Research ECM Technology Value Matrix 2017 for its functionality, innovation and range of capabilities in response to user needs. The Value Matrix draws from customer feedback, product demonstrations and conversations with vendors and users. The Laserfiche suite of ECM products is designed to support enterprise-wide digital transformation, offering solutions to enable business process automation, optimization and collaboration. 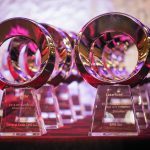 “Since implementing Laserfiche in 2015, we have continued to expand use of its products throughout our enterprise. The workflow and process automation tools are truly transforming the way we do business. We love their support and that Laserfiche will save costs, improve security and enhance ease of use for our business,” said David Sison, CIO of Mitsui Sumitomo Marine Management (USA), Inc. Mitsui Sumitomo is part of the MS&AD Insurance Group, among the world’s largest property and casualty insurers, headquartered in Tokyo, Japan. “With robust auditing, encryption and other security controls, Laserfiche excels in highly-regulated industries where security and compliance is critical to the business,” said Thomas Phelps IV, Vice President of Corporate Strategy and CIO of Laserfiche. Beyond core ECM and security auditing capabilities, earlier this year Laserfiche introduced the five-phase Laserfiche Digital Transformation Model. Laserfiche designed the phases so that business leaders can easily recognize where their organizations are in the digital transformation journey, and identify and implement relevant solutions to leverage content and data to drive strategic business decisions. Laserfiche also provides customers with a growing Business Process Library that accelerates deployments with a set of downloadable templated solutions for common business processes. Download a copy of Nucleus Research’s 2017 ECM Technology Value Matrix here. Nucleus Research is a global provider of investigative, case-based technology research and advisory services that provide real-world insight into maximizing technology value. For more information, visit NucleusResearch.com or follow Nucleus Research on Twitter @NucleusResearch.